In it's 81st year, The Plaza Art Fair kicks off today with live Kansas City bands performing on several different stages, 270 artists from around the world, and 27 Kansas City restaurants with tasty delights for you to sample along the way. 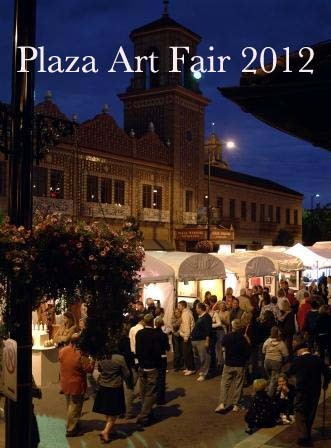 The 2012 Plaza Art Fair will run from Friday September 21st, through Sunday September 23rd. This year the fair will also feature a children's art workshop. The 2012 Plaza Art Fair will basically run Friday from 5pm - 10pm, Saturday from 10am to 10pm, and then Sunday from 11am - 5pm. 2012 Plaza Art Fair Music Line up and Schedule by KCMB Kansas City News, official kc news site with breaking stories on The Kansas City Royals, Chiefs, charity events, the 2012 MLB All Star Game, weather, sports, MU, KU, ufo sightings, dui checkpoints, Kansas City neighborhoods, nightlife, concerts, the Sprint Center, the Power and Light District and current Kansas City news articles.